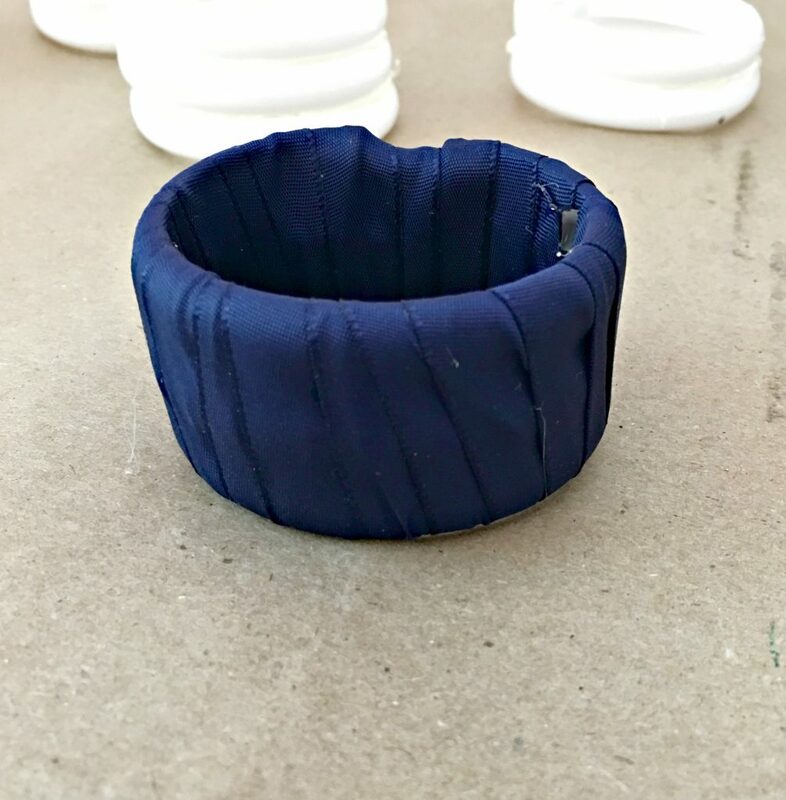 I love napkin rings and these DIY napkin rings turned out better than I thought they would. There are so many beautiful napkin rings out there, but some of them have some pretty beautiful prices, too! 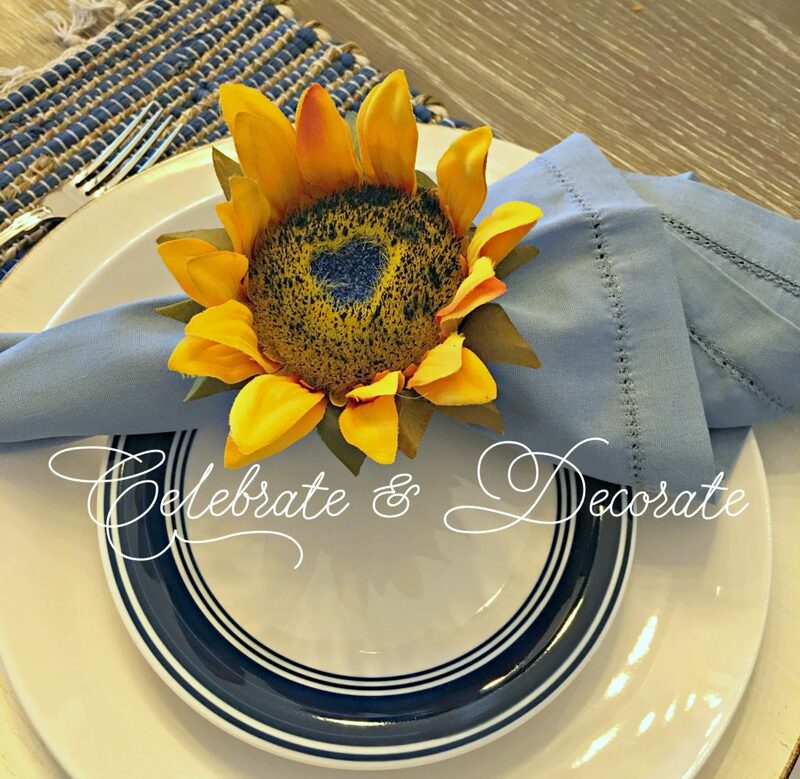 I like to use pvc pieces from Home Depot to make my napkin rings like I did with these from my late summer sunflower tablescape but things were a little different last week. 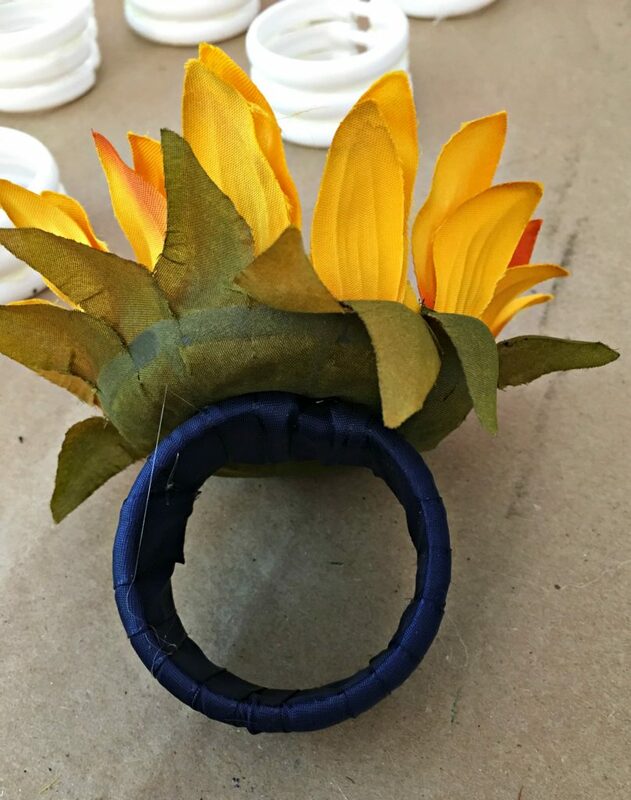 I had just taken a piece of pvc and used my hot glue to add a couple of leaves and a sunflower and I had pretty and very simple napkin rings. 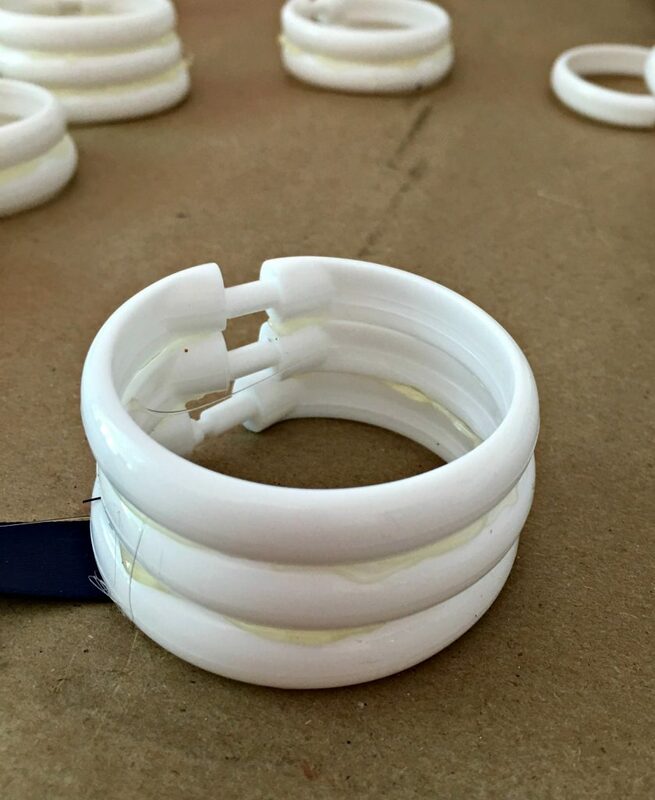 In all of the preparations for hurricane Irma, the last thing I wanted to do was to make a trip into the Home Depot or Lowe’s with everyone shopping for batteries and plywood just for some more pvc rings. I had taken my Mom to Walmart and thought there must be something I could use at Walmart for napkin rings. I found shower curtain rings! Two packages for ninety seven cents each. I snapped each ring together tightly. Time to go to work with my glue gun! I glued two rings together like I show above and then I added a third one to my little stack just to make my napkin rings as wide as I wanted. The stack of three rings was going to be the perfect size for my napkin rings. When all of my rings were glued together it was time to start covering them with ribbon. I have been using lots of blue in my new home, so blue satin ribbon was going to be perfect! I began with a small amount of hot glue on the inside of my rings with the end of some navy blue satin ribbon stuck into the glue. I used about four feet of ribbon for each napkin ring. 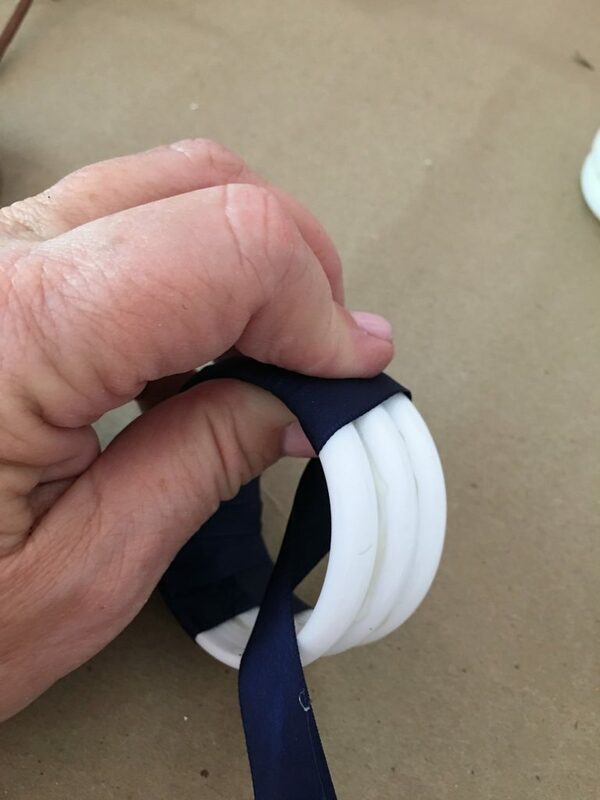 I wrapped the ribbon tightly around the rings making sure I over lapped it enough so none of the white showed through between the ribbon. These looked pretty enough I could have just used these like this, but I spotted these beautiful sunflowers with deep blue centers in them that I wanted to use for these napkin rings. I pulled the sunflower blossoms off the bush they were on and used the hot glue to attach the blossoms right where the indentation on the shower rings was. I hadn’t even pulled the hot glue string off of this one when I snapped this photo. With these dark blue centers on the sunflowers, I knew these were going to be stunning on my table. I will be featuring the pretty tablescape that I used these napkin rings for later this week! Come back and see it! 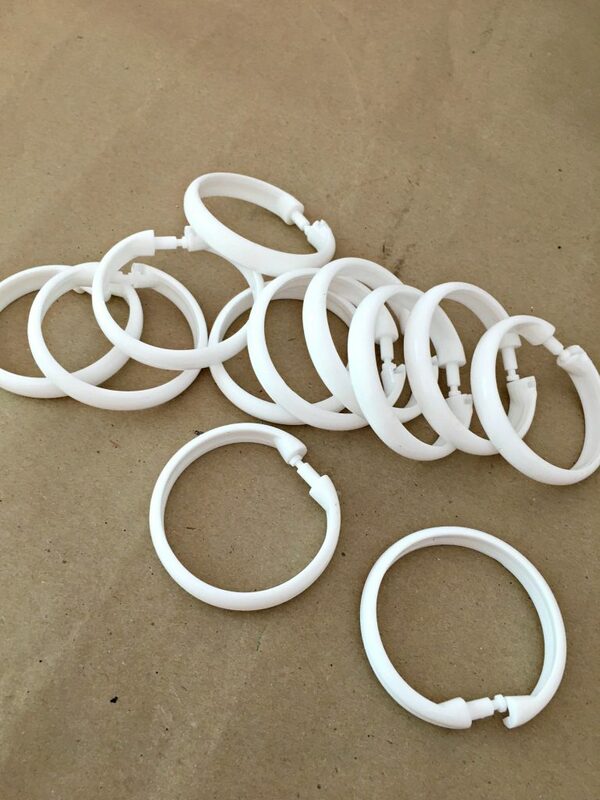 About 3 years ago I bought several packages of clear shower curtain rings thinking that I could use them for napkin rings. Thinking was far as I got. Now I have to remember where I stashed them. 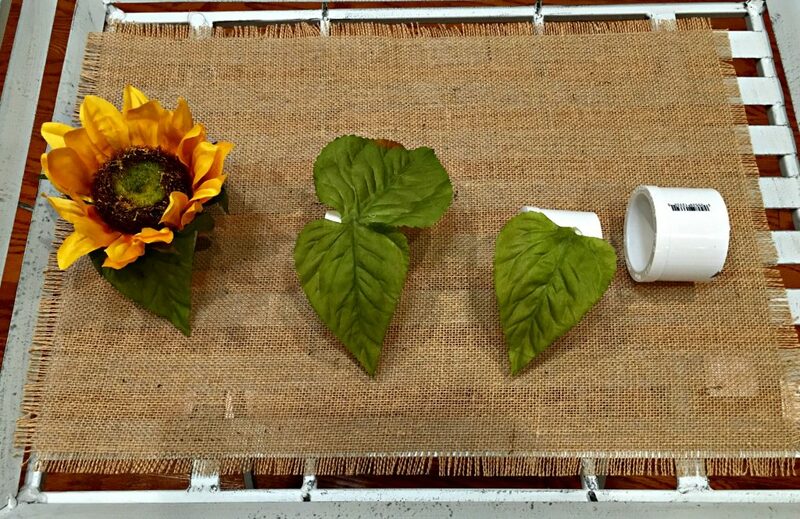 Your sunflower napkin rings are very pretty and I look forward to seeing the tablescape. I guess it will be time for you to get to work finding those rings! 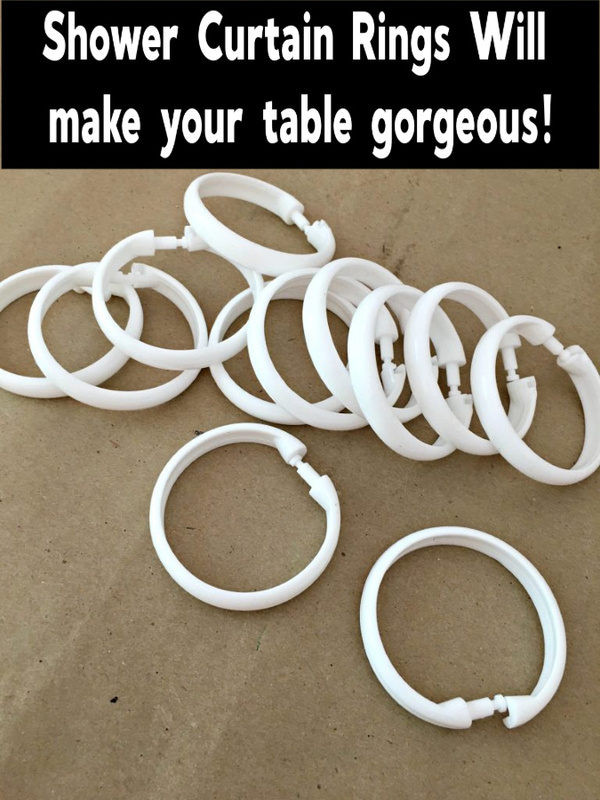 I look forward to seeing your take on these napkin rings! There are so many possibilities! Another Clever Chloe Creation! Adorable! Another good one Chloe! Keep up the great work! Fun and BEAUTIFUL!!! Thank you so much Barb, your sweet words are appreciated! 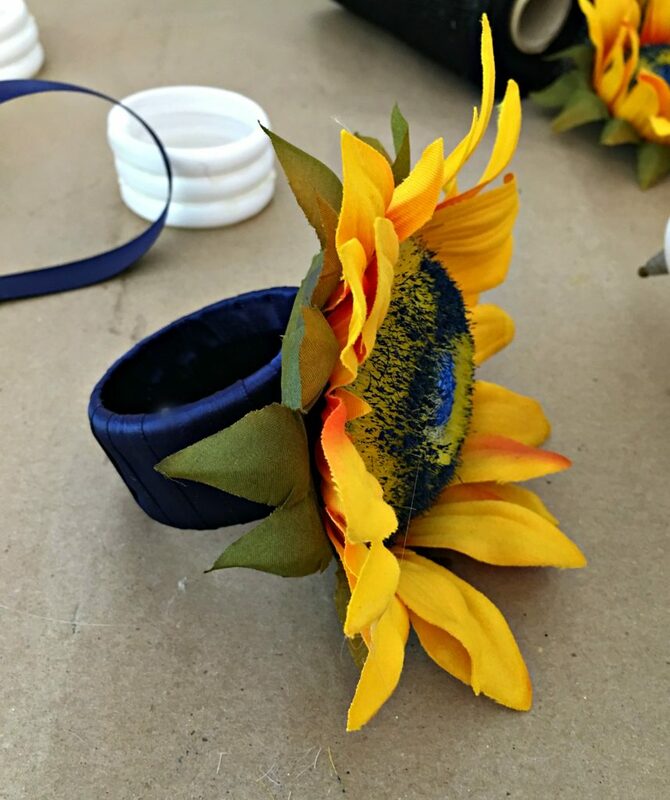 I love your ideas for making napkin rings and your blue and yellow tablescape is beautiful. 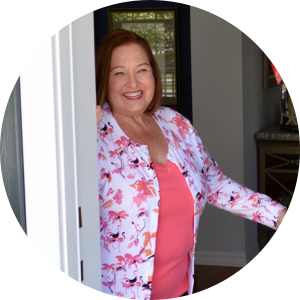 Thank you so much Barbara! These were the first rings I had made with these rings, but they will not be the last, that is for sure! 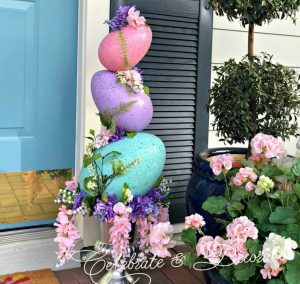 Really creative and a cute idea! Thank you Liz! Creativity motivated by a hurricane! Very clever and looks great on your tablescape. Thank you Bonnie! 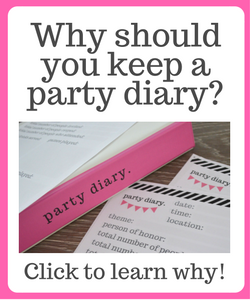 I will be making these in different colors and dressing them up differently throughout the year! Chloe, just beautiful. 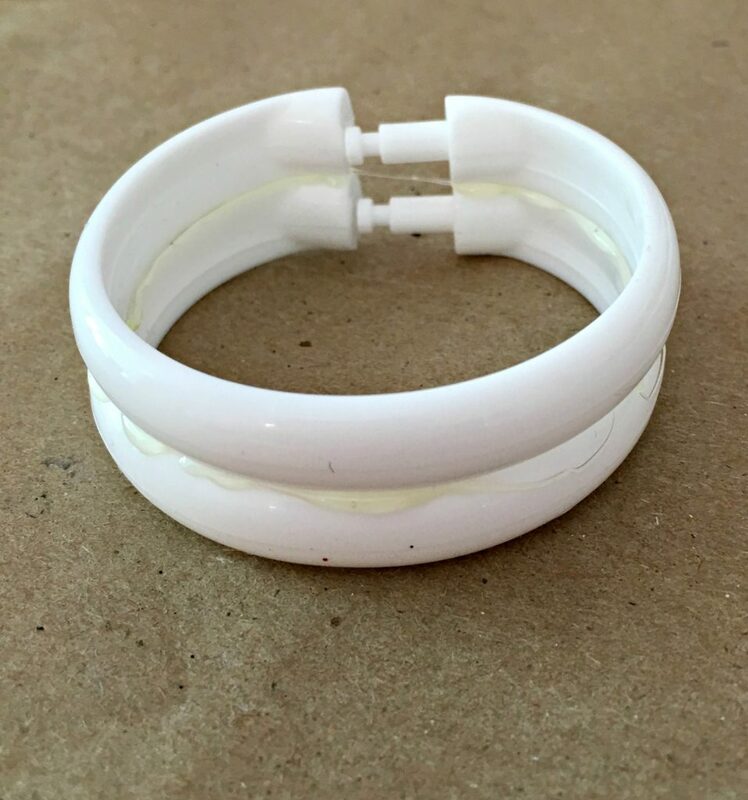 I’ve been using shower curtain rings for years now to make my napkin rings. What’s really pretty is to wrap the ring with raffia. They turn out really nice. Can’t wait to see your table using these beautiful napkin rings. Thank you Sandy! Isn’t it funny that it took a hurricane to make me consider using shower curtain rings. These won’t be the last ones I will make! What a really great idea chloe. I really love your tablescape and the color combination…I can’t wait to make these. Thanks! Hi. So pretty. Where did you get the sunflowers with blue? Hi Jackie, I bought those at Joann’s last year. Would it be possible to hot glue on a snap on the ring n base of flower? Then have other options that could exchange or would it be a mess? That could be an interesting way to try and do it. I might have to try it! Thank you! 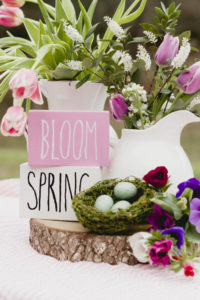 I am always looking for creative ways to add style to my tables! Chole, thank you for the clever idea. I am always looking for ideas for napkin rings. thanks so much Marian! 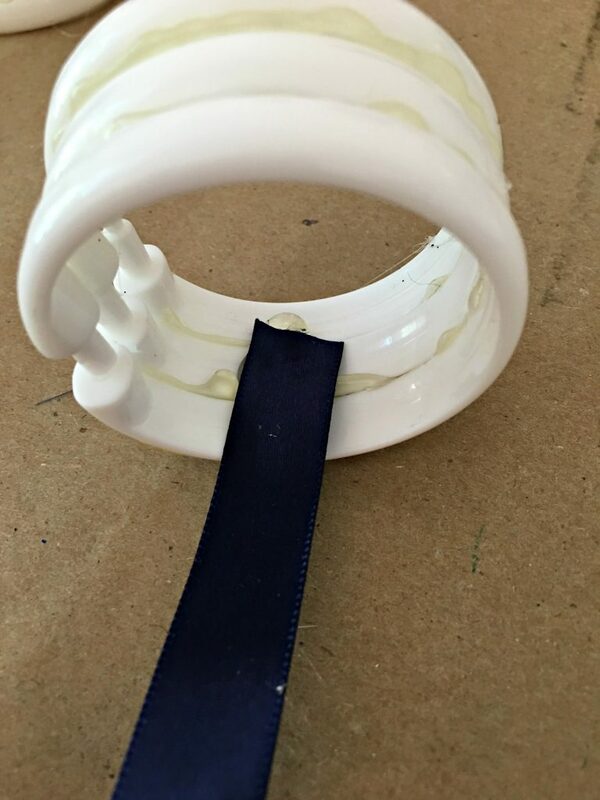 I am always looking for unique napkin rings, and with this method I am able to create whatever ones I want to coordinate with.